The book I read this week brought me back to my favorite genre. I love family relationship stories. I love a strong female lead. I love reading about places with such detail that I figure I could go there on vacation and find my way around. I watched 6 movies over the past 2 weeks… I know 6!!! When I was suppose to be sleeping or writing papers. I no longer watch TV, I just don’t have the attention span for interest right now. But a movie? Now that is something I like to get lost in. But enough with the musings… let’s get on with it shall we? 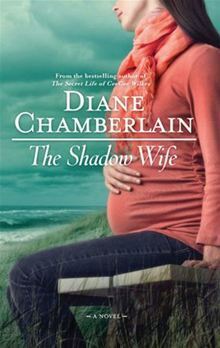 The Shadow Wife by Diane Chamberlain was gobbled up by me in a couple of days. I read it over lunch at work and every spare moment at home. I was reading reviews on Goodreads by my friends and discovered this author through them. They love her…I can see why. This book was about two main characters intertwined through separate stories. They meet and their story connects. I became very involved in one story, then it stopped and started with the second character’s story. It would frustrate me because I never wanted to end and pick up the next story line. This is common for the books I prefer to read. Maeve Binchy is a master at it character development. I devour strong character building. This story began with The lead’s parents in a commune in Big Sur. It reminded at first of a Barbara Delinsky novel called the Coast Road (also a good read). I like the whole hippy concept except the filth part, and the camping life part, and the lack of wealth part…okay in THEORY I like hippies, but I like to read about them and have coffee with them and learn about their life. I do not wish to be a hippy. Been there, done that to the best of my ability. I can peel logs, can food, grow food, identify edible plants in the wild, fish, and build a fire without the use of paper or fire starter. Trust me, I’d rather read about these adventures the relive them myself. As this baby of the hippies grew up, her life changed into what I can identify with professionally. There was a twist at the end that blew my head off. The entire time I was reading this book I was thinking I like this book a lot, not sure I love it. By the end, with me not seeing the twist coming, I LOVED this book! I knew this writer always places twists into her books but there was no hint of it in this. I loved that – and now have ruined it for everyone because I am awesome like that. When I read the twist, I was at work in the lunch room and yelled out “NO WAY!” That to me is the sign of a fun read. What more can you ask for? Surprise, independent strong females, family legacy, and beautiful scenery? Great summertime read! This week am tackling Oprah’s new book club – that’s right people she is back with an on-line book club! Wild by Cheryl Strayed. This book is uncomfortable for me at times. It is very relevant to me, but I am enjoying it immensely! I will let you know how it goes. This book places me halfway to the challenge of 50 books in a year. YAY! I have loved this challenge! It has brough me out of my comfort zone and into books I love. I never would have read Stephen King, The Room, or a multitude of other genres and storylines that have scared me in the past. If Lucy Fell was an old school Sarah Jessica Parker movie – Boring…. Every little Step was a documentary of the Chorus Line revival. I loved this. Pain, rejection, excitement all rolled into one. I have always fantasized about being on Broadway but I don’t have the strength it takes (nor the talent) to face rejection on a daily basis. Wow these people are amazing! Being Elmo… Behind the scenes of being a Muppeteer? Are you freaking kidding me??? THIS WAS AMAZING and I cried. I loved seeing the Jim Henson Empire. I will watch this documentary over and over. Schindler’s list. I was the only person left in the world who hadn’t seen this. It is now part of the Grade 12 curriculum in Alberta’s High Schools. Wow what a powerful movie. I found it interesting how he made enough money to save these people and then just before the war ended, so did the money. Divine intervention obviously played a hand. 4000 Jews live in Poland now, but 4 generations of Schindler’s Jews make up over 6500. Doing the right thing is never easy, but so important. If you haven’t watched this – you must. AND I can cross it off my 100 AFI list! Then my favorite movie of the year. It is no surprise people. you all know how much I love superheroes and fancy myself as one. 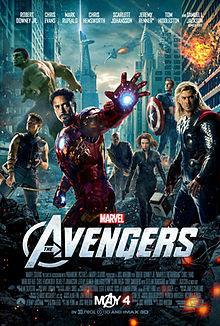 The Avengers was FREAKING AWESOME! Is it out on Blu-ray yet? I want it for Christmas Santa!! Please do yourself a favor, watch all the other movies first. This will help with the maximized enjoyment of the Avenger movie. Stan Lee I heart you. This week movies? I have no idea. I have watched 42 on the year. I am in the mood for Brave but that isn’t until the 22. I want to see something that will make me laugh. Life has been hard this week, so laughter is in order! < Why do I go to work everyday? Easy A is a good light-hearted humor…The Help is just awesome. I watched this with my Gram and it was Fab. A Beautiful Mind, Pride andPrejudice, or Jane might be all good movies….Across the Universe always gets me in the mood to listen to the Fab 4 Beatles. Will those suffice?? Never heard of Across the Universe! I am intrigued!